There will be example from our demo site provided in this guide for each display widget for your reference. 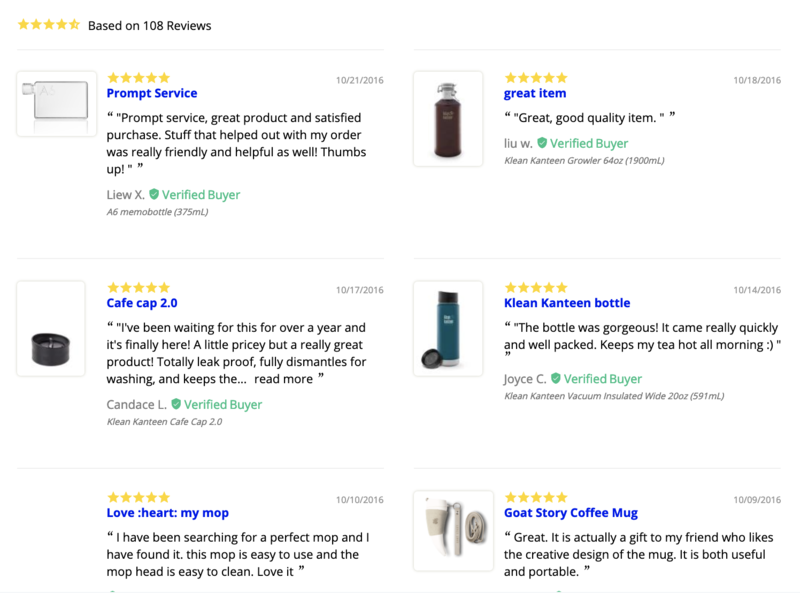 Display all reviews in a full-page style widget, usually used in a dedicated reviews page. Showcase all reviews with photos in either Carousel or Gallery style. Only applicable to reviews with photos. A carousel-style widget to showcase products with the most reviews. A badge that can be placed in your store to showcase the number of reviews received for your branding. Comes in minimalist and badge styles. A sliding widget shown as a tab on the side of the screen in your store. Apart from the product reviews, the customer is also keen to read the Site/Company Reviews. With the NPS Carousel, you can highlight these reviews to potential customers.